It is estimated that acupuncture has been practiced for 3,000 – 4,000 years to cure a number of health problems. While people often think of pain management, acupuncture can also be used to cure emotional problems. Those that suffer from stress, depression, anxiety and other mental health issues may benefit from acupuncture. What exactly is acupuncture though and how does it help emotional health? 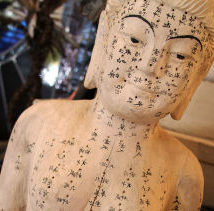 Acupuncture is a Chinese medical technique that has been practiced for at least 3,000 years. The Chinese believe that over time certain emotions may outweigh others causing an internal imbalance. It is believed that the positioning of acupuncture needles can help correct this imbalance. These points are used to access the bloodstream, nerves, muscles and hormonal systems. Many people have seen movies where acupuncture was preformed using giant needles. These images are not accurate and should not deter you from trying this form of healing. Acupuncture needs are actually one-tenth the size of hypodermic needles. More importantly, when seeing a acupuncture specialist, you will be treated by someone who has over 4,000 hours of training experience. This means they know how to best place the needles for the least painful experience. How Does It Help Emotional Health? You may be surprised to know that your condition may be treatable with such an easy method. Panic attacks, anxiety, depression, grief and even the moodiness associated with PMS and menopause are all treatable using acupuncture. Acupuncture works to relieve these conditions by releasing endorphins and other hormones that can disrupt emotional health. The exact points your acupuncturist uses will depend on your exact problems. In fact, the treatment plan will be as unique as you are. Whether you suffer from depression and anxiety or panic attacks and moodiness, you will be able to get the help you need. The biggest concern noticed by those receiving acupuncture treatments for the first time are changes in appetite, sleep, bowel and urination movements and a possible triggering of an emotion state. The reason for this is that balance is returning to the body and can cause some systems of the body to overreact at first. Does acupuncture really work? The exact answer is sketchy. While some people swear by this method, others simply don’t believe in this age-old practice. However, if you have the money, you should definitely consider natural methods before turning to prescriptions. About the Author: Ernesto Sagoes is an EKG technician with a passion for overall health and wellness. He encourages anyone with emotional or physical conditions to talk to their doctors about both traditional and alternative treatments.